Spend time with friends and family in an afternoon tea experience at the Ritz-Carlton, Bahrain’s Lobby Lounge and Ritz Gourmet Lounge. Indulge in new items on the menu and enjoy the piano entertainment on Fridays and Saturdays. Afternoon tea is served from 3pm to 5pm priced BD21++ per set. Treat your special someone to a romantic dinner by the sea with a breathtaking view of the Arabian Gulf at the Ritz-Carlton, Bahrain. This is being held daily, on the sea breeze area or private island, from sunset to 10pm. Priced BD350 per couple at the sea breeze area and BD500 per couple at the private island. The Four Seasons Hotel Bahrain Bay’s poolside Italian restaurant, Vento, is offering a wide selection of pizzas from wood-fired ovens and artisan pastas. Available on weekdays from 11.30am to 11pm, and weekends from 11.30am to 12pm. The Four Seasons Hotel Bahrain Bay is offering Family Spa bonding. Its ‘Relaxed Us’ offer aids muscle tension, releases stress and promotes wellbeing, 45 minutes for BD80. The ‘Beautiful Us’ offer is designed to cleanse, gently exfoliate and hydrate skin with a 100 per cent chemical-free product range from Australia and the UK, 45 minutes for BD85. The ‘Glowing Us’ offer is a special indulgent full-body treatment, 45 minutes for BD85. 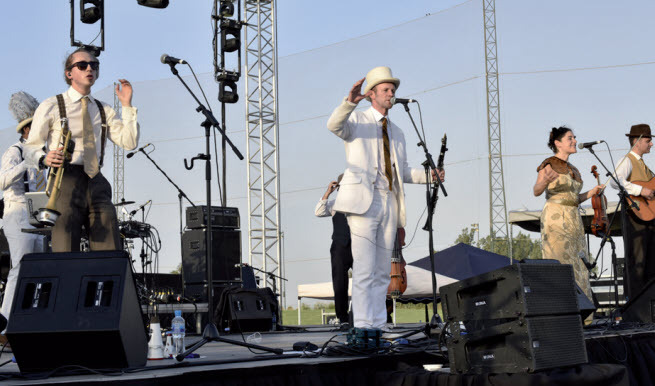 The Crowne Plaza Bahrain’s band the Eye Candies will entertain every evening, except Saturday, at Harvesters. The outlet is also dishing up a new Camel Burger and staging a Beast Burger Challenge which, if finished in the stipulated time, offers the meal for free, a T-shirt and wall of fame celebrity status. It runs daily from 11am to 9pm and is priced BD8.410. Enjoy a lavish experience at the Ritz-Carlton, Bahrain’s restaurants by indulging in a culinary extravaganza at La Med, Italian classics at Primavera, exotic Indian fares at Nirvana and prime steaks and seafood at Plums. This will be held today from 12.30pm to 3.30pm, priced BD35 per person with soft drinks and BD39 per person with selected beverages. At the Gulf Hotel Bahrain Convention & Spa’s China Garden Restaurant, Chef Ding and his culinary brigade will be offering pan-seared Chinese delicacies. The Gulf Hotel Bahrain Convention & Spa’s Fusion Restaurant will be offering a unique steak wok, either grilled or wok-fried, with a choice of beef tenderloin, rib eye, or lamb chops today. The Four Seasons Hotel’s Bahrain Bay Kitchen is holding a Back-to-School Brunch Carnival. It takes place every Friday throughout September. Enjoy homemade delicacies prepared by Executive Chef Hyung Gyu Kim as well as the carnival fun with a photo-booth, face painting, stilt-walkers, balloon artists and goody giveaways. Priced BD25++ inclusive of beverages, BD35++ inclusive of special beverages, BD12.5++ for children up to 12, and free for children below five. For details and reservations, contact 17115500. The Four Seasons Hotel Bahrain Bay is hosting Friday Brunch at CUT by Wolfgang Puck Steakhouse from 12.30pm to 3.30pm. Priced BD26++ per person including soft beverages, BD26++ per person including extensive beverage package for ladies, and BD36++ per person including extensive beverage package. Spice up your weekly brunch with a culinary journey around Mexico at the Ritz-Carlton, Bahrain’s Cantina Kahlo Restaurant. This will be held on Saturday, today and on September 22 and 29 from 12pm to 4pm. Priced BD35 per person with selected beverages and BD20 per person with soft beverages. A Kids Special Movie Time takes place at Ramee Grand Hotel & Spa, Seef’s second floor Banquet Hall every Saturday between 3pm to 5pm. Entry costs BD2, snacks included. The Gulf Hotel Bahrain Convention & Spa is offering ‘Art of Cooking’ classes for those with busy lifestyles who have a passion for food. Classes feature demonstrations, from the building blocks of culinary practice to mouthwatering menus, led by professional chefs. Priced BD18net, including lunch. Seats are limited, book now. Families can enjoy a buffet meal at the Ritz-Carlton, Bahrain’s La Med Restaurant every Saturday from noon to 3.30pm. Soft drinks are priced BD15++. Bahrain’s award-winning Indian restaurant, Rasoi by Vineet, at the Gulf Hotel Bahrain Convention & Spa, is offering an exclusive set menu by Michelin-starred Chef Vineet Bhatia, for the price of BD22++. The Mövenpick Hotel Bahrain has a Seafood Night offering the freshest catch-of-the-day, a buffet and live cooking station priced BD24net including soft drinks, or BD29net including unlimited selected beverages. The Wyndham Garden Manama in Juffair is hosting an American Night at its Player’s Lounge with duo, Notre Viú on stage. Enjoy special offers on selected beverages and Angus steaks every Tuesday from noon to 2am.